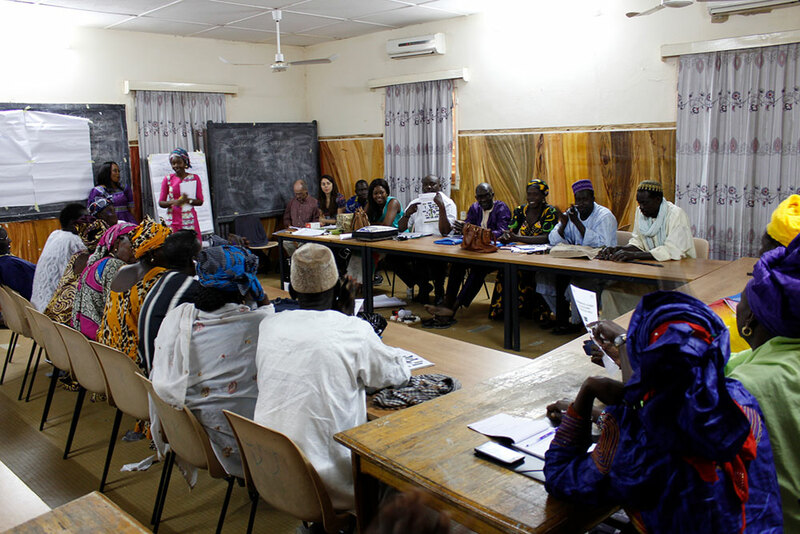 On January 18, 2017, SPRING/Senegal facilitated a one-day workshop on gender equality and women’s empowerment in the Kaolack Region. Attendees included representatives of some of the partner organizations that SPRING works with in cereal value chains and vegetable and tree crop production. 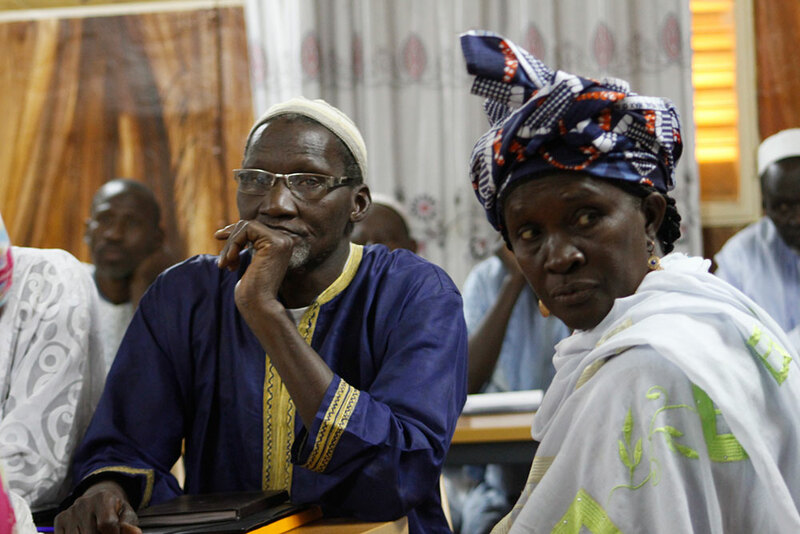 Several participants attended the workshop with their spouses. The workshop focused on how reducing women’s workload can positively impact family nutrition. 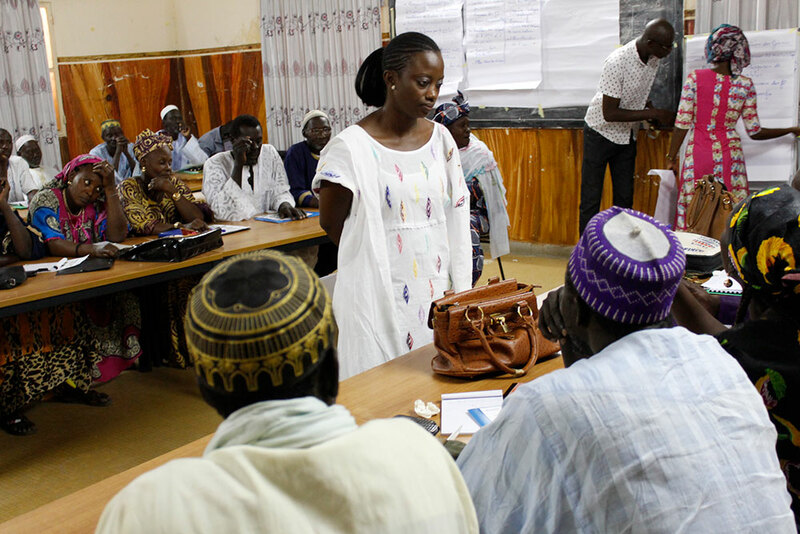 SPRING/Senegal Gender Advisor Daba Ndione Beye interacts with training participants. Participants listen attentively as facilitators elaborate on the importance of women’s empowerment as it relates to nutrition. 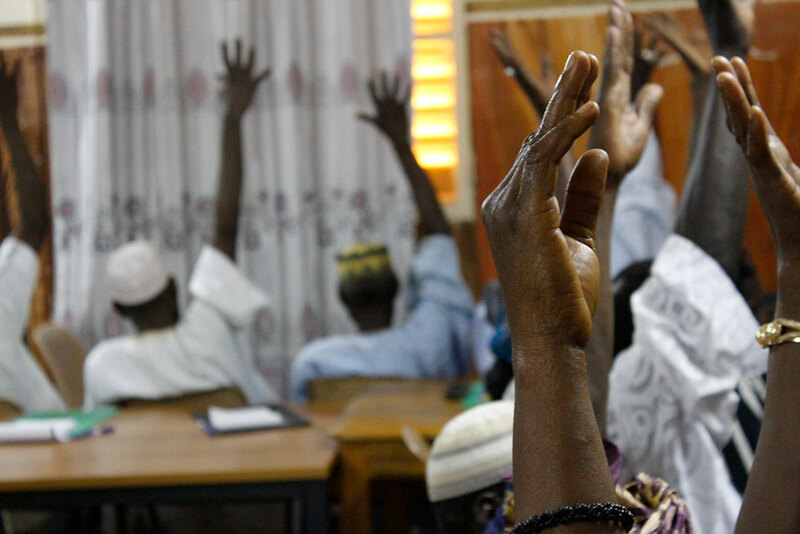 Participants raise their hands in agreement as part of a pre-training assessment on knowledge of gender concepts. Several couples attended the training together. 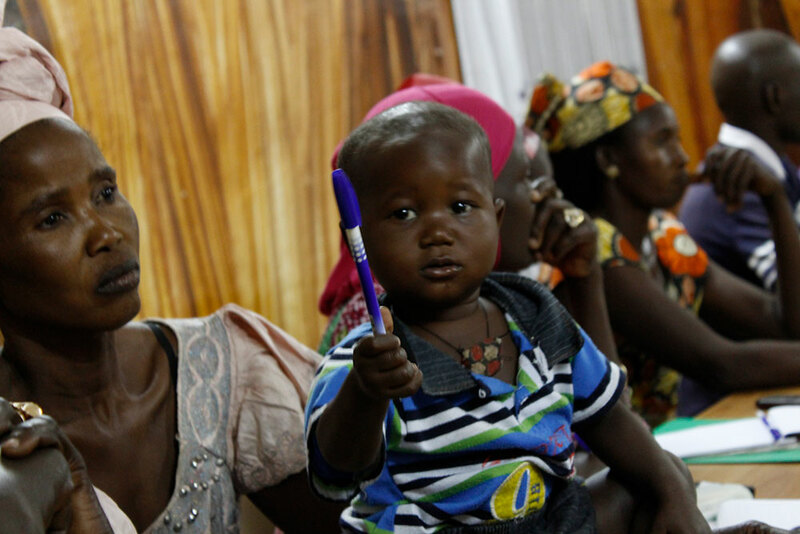 A mother attends the workshop with her young son. 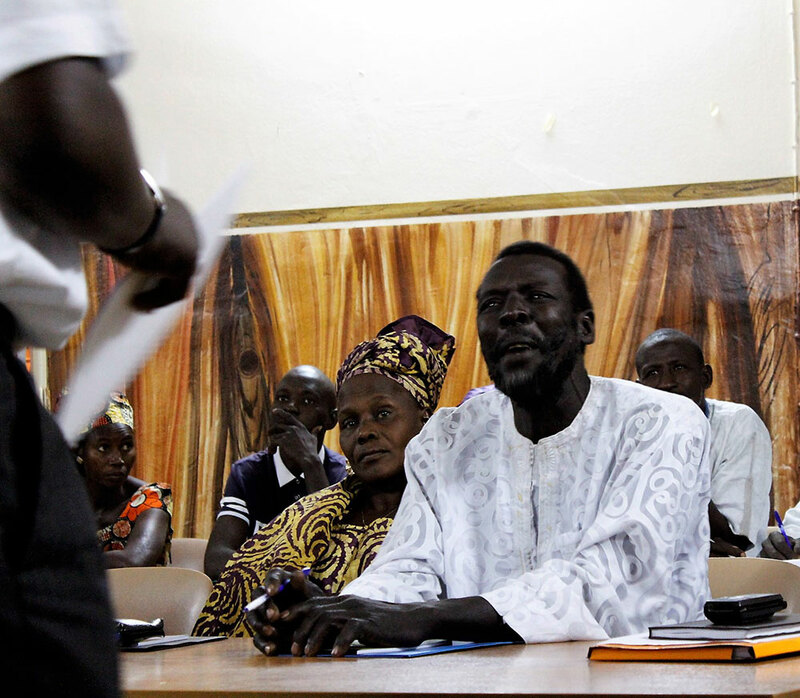 A participant shares his views with a facilitator as other participants look on.